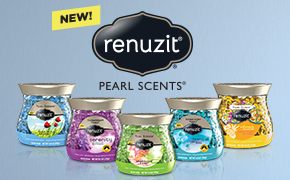 I recently received a free jar of Renuzit® Pearl Scents® to try out and some coupons to give away to a reader. The new Pearl Scents come in cute little jars designed to accent and highlight your home decor as well as provide long-lasting freshness. I received After the Rain (the green jar). The scent is incredibly strong, which you may or may not like, so we placed ours in a large room. 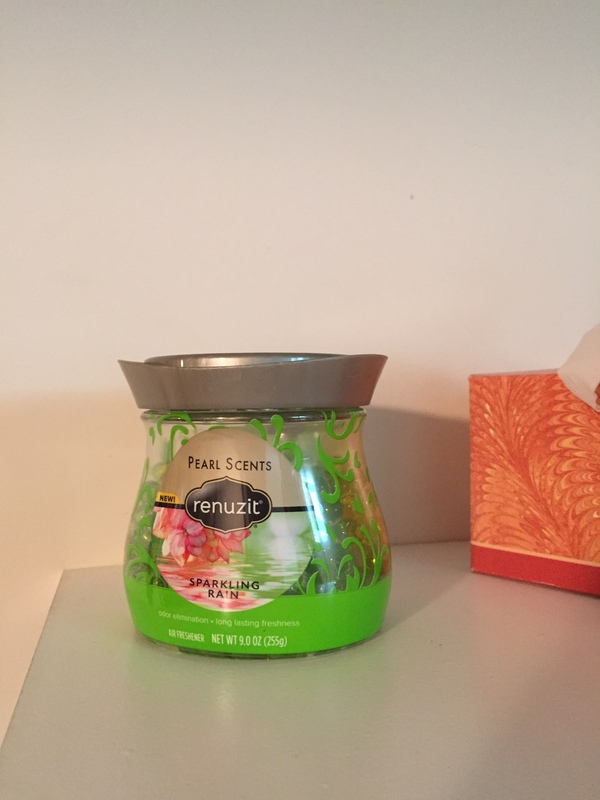 I have not tried the other scents but am intrigued by the pineapple one…. Find out more about the scents HERE. 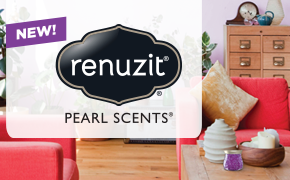 Would you like to try TWO Renuzit Pearl Scents for FREE? Enter below by leaving a comment saying “pick me” and I will randomly select one winner Sunday evening (5/31) at 9 PM to receive two free coupons. Pick me!! I’m potty reading a puppy. Some days are great and others not so much! Could def use a pleasant smell.